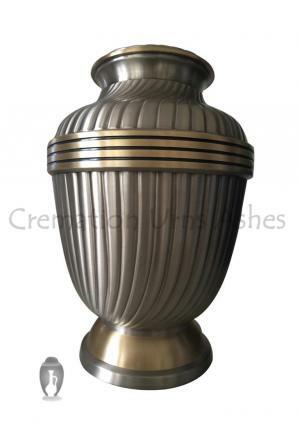 Purchase Extra Large Royal Adult Cremation Brass Urn for Human Cremated Ashes UK. 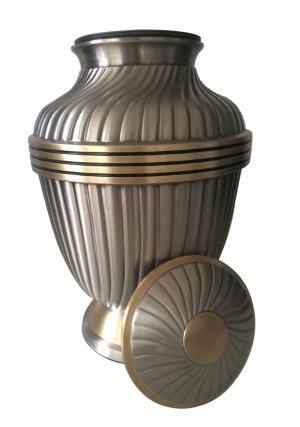 The Royal Adult Cremation Urn is a beautiful combination of classical design and modern finish. 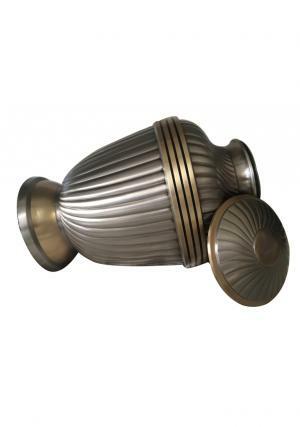 The urn is hand cast from high quality brass, and has been wonderfully finished in a combination of brushed pewter and brass. The brushed pewter creates a sophisticated look with the hand-designed carved swirl pattern radiating from the half-domed lid. 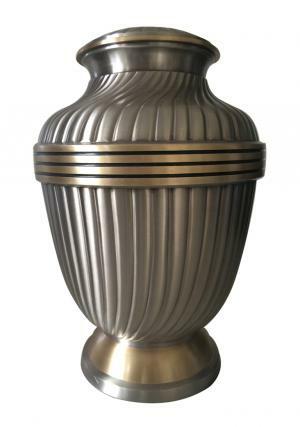 The rim of the lid, the middle of the urn, and its foot have been finished in deeply glowing polished brass- making the Royal Adult Cremation Urn a perfect blend of tone and texture. All of our urns are delivered free to any address in the mainland UK. We are providing secured payment through our web-site. When it is full the lid of the Royal Adult Cremation Urn is threaded deeply for complete secure. The urn holds the complete ashes of an adult. 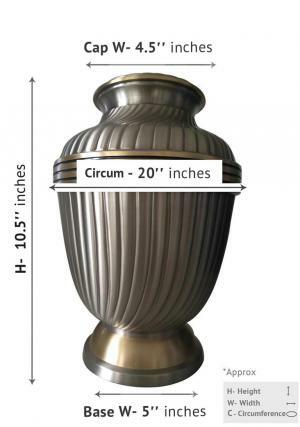 This urn is slightly larger than the average adult option - its height is 10.5" inches.